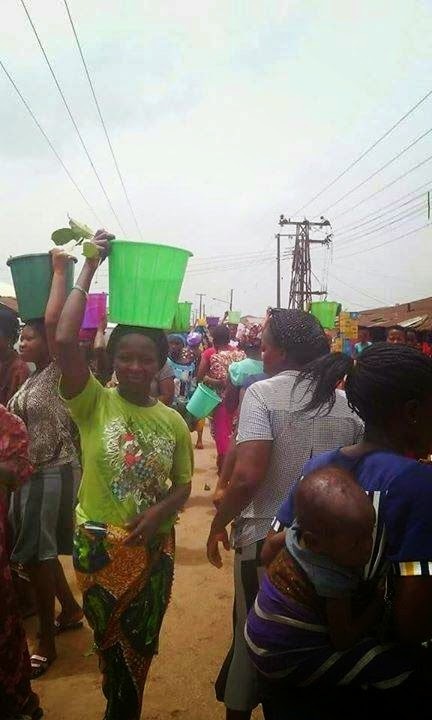 When tragedy struck in the little town of Ode-Irele in Ondo State some weeks ago people reacted in frenzied ways due to the confusion, fear and arguments that ensued. On national television, I saw devotees and fear-stricken villagers alike, doing obeisance and performing all manner of appeasement rituals to some local deity at the shrine of the gods of that land. Obviously so many thought the gods of the land were actually to blame! Needless to say that any keen observer will notice a near perfect semblance and striking affinity between the locally brewed illicit gin called ogogoro or kai-kai, which is widely consumed by the locals, and the chemical substance known as methanol. It is true that methanol is alcohol, but it is certainly not the drinkable type of alcohol; it is however, quite different from ethanol. The locally brewed illicit gin or ogogoro is alcohol and definitely bears close resemblance with methanol. They both look alike and smell alike, but methanol as many of us are just beginning to understand, could be a deadly poison when ingested. Methanol is also known as methyl alcohol; it is a light, volatile and colourless flammable liquid with a unique smell similar to that of ethanol which is somewhat a drinkable type of alcohol. But when methanol is erroneously ingested by anyone a lot could go wrong. The question is - if any of these illicit gin/herbal hawkers should lay their hands on any of these chemicals like methanol, who is going to tell them the difference? It is also true that nearly ninety percent of what these hawkers serve to their numerous clients is alcohol based. More facts as revealed by scientific research is convincing enough to let the world know that methanol poisoning was responsible for the series of preventable deaths that have silenced the gentle town of Ode Irele, and thrown it into a mournful mood since the past weeks. Since the team of World Health Organisation first gave a preliminary investigative report suggesting methanol poisoning, a big argument has arisen between health experts, government officials, community heads, and traditionalists who claim the gods were angry and so decided to go killing some perceived thieves. Are the gods really to blame? Luckily too, the Ondo State government health department after taking time to study and investigate the incidents, have equally submitted that methanol poisoning must have been responsible, yet the hullaballoo regarding the perceived wrath of the gods as postulated by the local chiefs and the keepers of the shrine, have continued to loom and linger. My biggest surprise and disappointment however, has been the fact that even some highly placed and educated people are also in the fray – eulogizing the unimaginable powers of the gods to be behind this unfortunate tragedy that has befallen this tiny town of Ode Irele. But none of the surviving victims who are still under intensive care have confessed that truly they were at the shrine to cart away some old artefacts as alleged by the chief priest and the traditional chiefs. If anything at all, I think that the gods have seized this unfortunate incident as an opportunity to promote themselves in the eyes of the unwary and ignorant public through their custodians and high priest. If anyone has committed any crime in the form of theft, and is at the point of death, I think they will normally and easily own up to their misdemeanour! Copyright (c) 2014, Oziomalife. All Rights Reserved. Simple theme. Theme images by konradlew. Powered by Blogger.